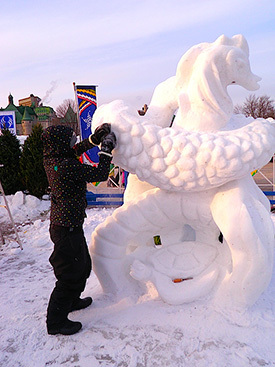 This winter’s Carnaval de Quebec is January 26-February 11. Bonhomme Carnaval, an NBA-sized snowman character who may be more popular with local kids than Santa Claus, reigns over the festivities and draws legions of admirers at every appearance. 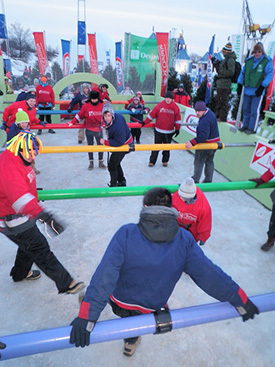 There’s a giant outdoor stage, towering snow sculptures created for an international competition, blaring techno music, a Broadway-style dance show, a 120-meter ice slide, snowshoeing, ice-skating and sleigh rides. One year, there was a competition between a pop singer and an opera tenor. Activities also include fireworks, miraculous illuminations of public buildings, Mardi Gras-style parades, human foosball on ice and the most insane canoe race imaginable across the ice-choked St. Lawrence River. The canoe racers genuinely defy death because a mid-course mishap could spell disaster. This list only scratches the surface. 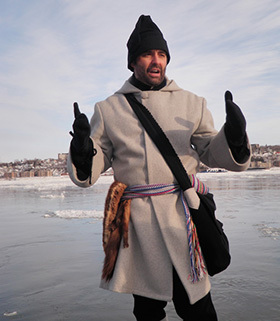 While much of the action is on the Plains of Abraham just beyond Quebec City’s fortified colonial walls, Carnaval de Quebec presents other events scattered about the city. In sum, it is an amazing spectacle, especially to visitors from temperate climates where people whine if the overnight low is below freezing and where no one can comprehend a day that stays in single digits. 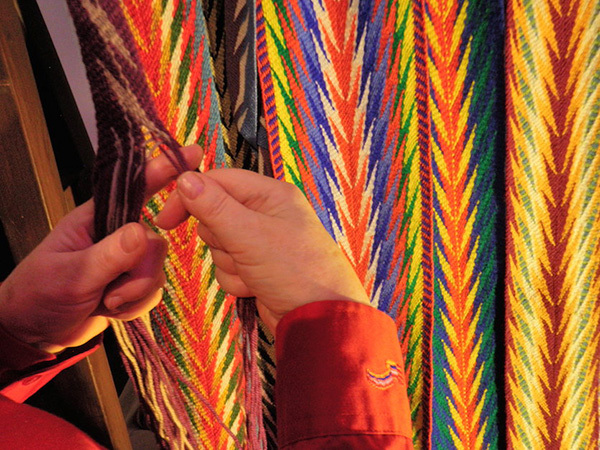 If you attend Carnaval de Quebec, you quickly will see the wardrobe accessory you will want to purchase. It’s a stylish and colorful sash. 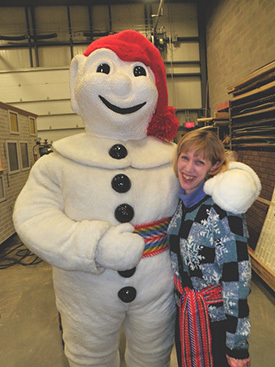 Check out Bonhomme Carnaval for an example of the red, green, blue, white and gold belt that is highly visible against his massive white body. The sashes’ designs, and their original utility as the equivalent of a weightlifter’s belt, date to French colonial times. Carnaval de Quebec 2018 is the 64th year of the party. Once again, organizers aim to deliver joy, happiness and economic activity to a city that otherwise would resemble a giant ice cube.